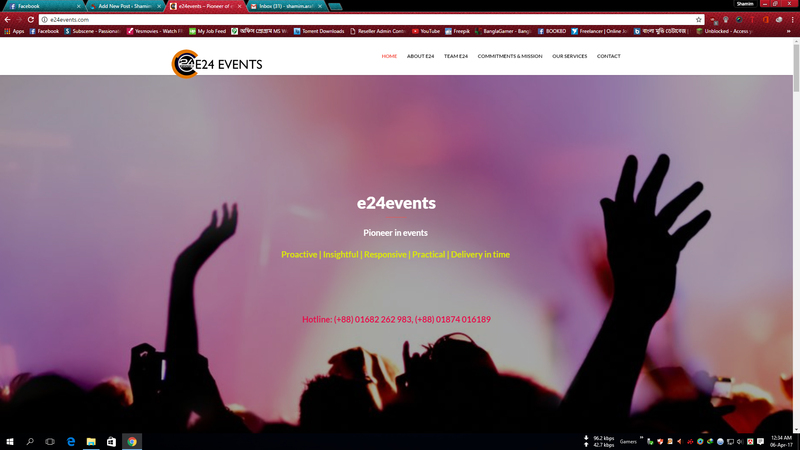 E24 Is the Exclusive Event management company of Bangladesh.The company has been awarded as the best event management company of the country several times .we have been successfully driving the cultural activities of Bangladesh By arranging charitable & non-charitable events.we also arrange events both national & international. All our skills are in-house, which means we have full control over cost, quality and delivery so jobs are delivered on time and on budget. Our digital, creative and account teams work as one, ensuring ideas are swapped and migrate from one discipline to the other. To our client that means one point of contact that can deliver all their needs.